CFSI extends its thanks and appreciation to the following 2016-2017 supporters of the Robert J. Barraclough Internship Program. Established in 2011, the Robert J. Barraclough Internship Program promotes the professional development of qualified applicants who are interested in learning about the federal government’s role in enhancing the readiness and response capabilities of our nation’s fire and emergency services. 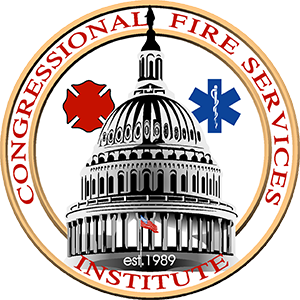 They will achieve this goal by serving as interns at the Congressional Fire Services Institute, a nonprofit, nonpartisan policy institute designed to educate Congress about the needs and challenges of our nation’s fire and emergency services. For 15 years, Bob Barraclough served on the CFSI Board of Directors, providing leadership and support to help CFSI become a major force for the fire service in Washington, DC. Highly respected among his peers, Barraclough served as CFSI’s primary liaison to the fire service industry, advocating to industry leaders the importance of a strong working relationship between the Institute and the broad network of manufacturers and service providers that equip and train our nation’s first responders. The individuals selected for the internship program will perform a number of duties that will enhance their understanding of how federal laws are made and policies and programs are implemented. They will participate in meetings with fire service leaders and attend congressional hearings. They will also travel to trade shows to learn about the fire service industry and interact with trade show attendees. At the completion of their journeys, these interns will have benefited from a unique experience that will advance their professional careers in a number of directions — whether in public safety or in government policy. Your pledge of $1,000 to the Robert J. Barraclough Internship Program would have a significant positive impact on the mission of CFSI and the fire service in general. Each intern will gain a tremendous amount of knowledge on a broad spectrum of federal issues — knowledge about public safety that they will carry with them throughout their professional career. In gratitude for the contributions to this program, CFSI will make sure that all supporters are properly acknowledged. We will recognize them in this section of our website and at the annual National Fire and Emergency Services Dinner, attended by 2,000 local, state and national fire service leaders. A special section in the commemorative dinner program will be reserved for acknowledgements. Please contact us at 202-371-1277 if you have any questions about our internship program and how your support will help us to advance our mission in Washington, DC for many years to come.